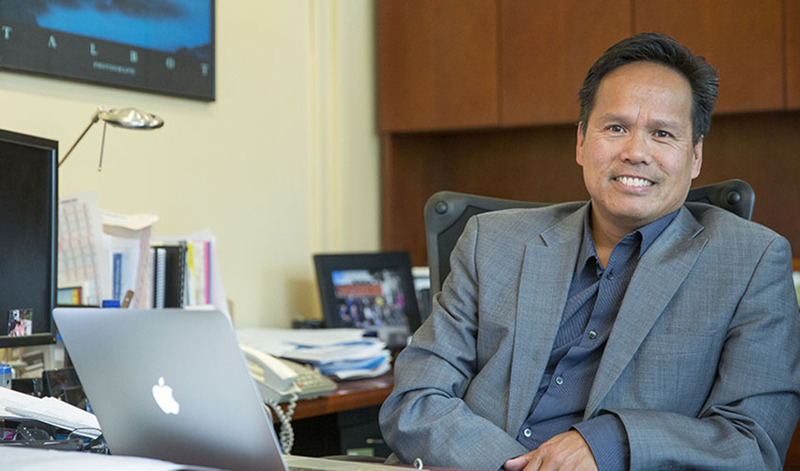 Alvin Alvarez, interim dean of SF State's College of Health & Social Sciences, earlier this week received the Lifetime Achievement in Mentoring Award from the American Psychological Association's (APA) Society of Counseling Psychology. The award was given in recognition of Alvarez's work as the founder and director of the Leadership Development Institute for the Council of National Psychological Associations for the Advancement of Ethnic Minority Interests (CNPAAEMI), which promotes diversity in the field of psychology. The award was given during the APA's annual convention held in Toronto from Aug. 6 to 9. "I was truly honored to receive this recognition from my colleagues," Alvarez said. "It is critically important that we ensure people from underrepresented backgrounds have a voice in the field of psychology, and I am proud of the work we've done and continue to do at the Leadership Development Institute to further that goal." CNPAAEMI consists of the presidents of the Asian American Psychological Association, the Association of Black Psychologists, the National Latina/o Psychological Association, the Society of Indian Psychologists and the Society for the Psychological Study of Ethnic Minority Issues. The Leadership Development Institute is designed as a collaboration between the organizations to provide training, mentorship and networking opportunities to psychologists of color to help them advance as leaders within the field of psychology. That in turn helps enhance how race, culture and ethnicity are proactively addressed in teaching, practice and policy development. Alvarez has served as the director of the Leadership Development Institute since 2008 and is a past president of the Asian American Psychological Association. He has served as interim dean of SF State's College of Health & Social Sciences since July 2014 after previously serving as associate dean. He is also a professor in the Department of Counseling.